Australian made for Australian conditions, the PIONEER range from Aussie Concrete Products is the perfect solution for 100% termite and rot proof retaining walls, which can be designed for a magnitude of retaining applications. With options available to create a natural, classic, or contemporary look, the PIONEER range is designed for stylish longevity, with minimal maintenance. All products are engineer designed, and meet or exceed Australian Standards for Earth-Retaining Structures (AS 4678), all backed up by a 35-year guarantee. 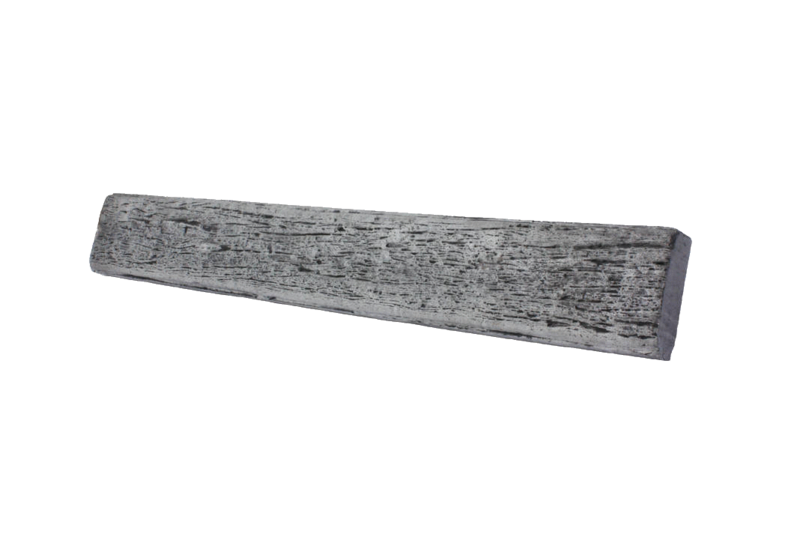 Add a sleek, modern look to any landscape using Smooth concrete sleepers, at a price similar to hardwood! 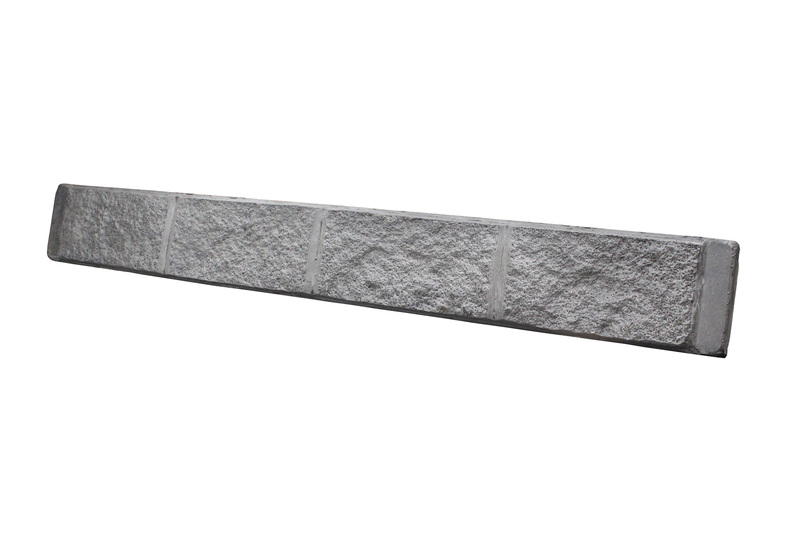 Manufactured using 40MPA concrete and reinforced with steel, Smooth concrete sleepers are an economical option for a durable, low maintenance retaining wall. Available in Grey and Charcoal*. You simply can’t go wrong with a classic. By replicating the colours and textures of real timber, the Timber Look concrete sleepers are distinguished by their natural, yet timeless look. Avoid the worry of termites, rotting or warping that would normally compromise a timber retaining wall, and create a stylish and cost effective retaining solution for your home with these 40MPA, reinforced concrete sleepers. Sandstone never goes out of style. Design an elegant, earthy look with the warm colours and textures found in Sandstone Effect concrete sleepers. Featuring a block face pattern, and available in Natural or Graphite, Sandstone Effect concrete sleepers are manufactured using 40MPA concrete and reinforced with steel for strength and durability. Capture natural elegance through the rich palette of colours found in the Slate concrete sleeper. Distinctive, earth tones add a rustic touch, without the maintenance issues. Manufactured using 40MPA concrete and reinforced with steel, create a durable feature that will compliment your property. Commonly referred to as ‘H’ posts, 100UC galvanised steel posts can be used to create a long lasting, stylish, and contemporary looking retaining wall. Easy and fast to install, they are the perfect fit for the Pioneer range of sleepers, and are ideal for use on boundary lines. Also available in 150UC. Commonly referred to as ‘C’ posts, 100PFC galvanised steel posts can be used to create corners, or to provide a neat finish to a retaining wall. Light and easy to install, use in conjunction with 100UC steel posts and Pioneer concrete sleepers to complete the look. Also available in 150PFC. Galvanised steel fence brackets are available in both straight and offset options, and can be used to install a Colorbond (3mm) or timber (6mm) fence directly on top of your Pioneer retaining wall, allowing you to save space, time and money.